The sun was shining and the birds were singing as I set off for Banyule, in search of a Latham's Snipe, which I needed for my annual list. Banyule is about 13 kilometres from central Melbourne and it takes me about forty minutes to drive there. I went directly to the swamp, where I often see snipe in summer. No luck today. There were no muddy edges, no snipe, no crakes, no rails, not even a Black-winged Stilt. However, there were Spotted Pardalotes calling and lots of water fowl on the water. Grey Fantails darted around and Grey Butcherbirds sang merrily, mocking my lack of snipe. I walked to the river and was surprised at the lack of Bell Miners. There has been a colony of Bell Miners here for as long as I've been coming here, and I know precisely when my visits to Banyule began. It was in November 2001 when a female Australian Painted Snipe turned up. Melbourne birders all flocked to Banyule, and most were rewarded with excellent sightings of a very beautiful bird. There was nothing as exciting as snipe today, Latham's or Painted or anything else. I did hear my first Rufous Whistler for the season and my first Olive-backed Oriole. I had a very pleasant walk, clocked up 36 species without trying, and went home lamenting my lack of snipe. My mood changed immediately when I learnt that a Franklin's Gull had been seen at Paynesville. There was no question of whether I would go to Paynesville, it was a question of when I could set off. As I write, I am packed and plan to go in the morning. I have good vibes about this Franklin's Gull. Wilson Reserve, in Ivanhoe, is about ten kilometres from central Melbourne. I think it is about the best place close to the city to see Eastern Yellow Robins and Common Bronzewings. On Friday, I dodged the rain, and enjoyed a pleasant walk beside the Yarra River at Wilson Reserve. Someone had recently mown the grass and it smelt wonderful. As soon as I parked the car, I was welcomed by the melodious fluting call of Grey Butcherbirds. A Pacific Black Duck in the car park was unsure whether I was friend or foe. Rainbow Lorikeets squawked overhead and Brown Thornbills chattered in the undergrowth. Several Grey Fantails danced around and Willie Wagtails chattered happily, just pleased to be alive. Along the track, a large flock of Red-browed Finches played with Superb Fairy-wrens and White-browed Scrubwrens darted amongst the bushes. Nine (yes, nine!) Australian Magpies foraged on the grass in one spot and Bell Miners tinkled in the trees. I met some friendly locals who were walking their dogs and nearly stepped on a water rat that ran across the path in front of me. I didn't see anything extraordinary, but I had a very pleasant walk and clocked up 27 species without trying. That doesn't count the Little Grassbird that sang loudly from the reeds, but wouldn't show himself, or the Spotted Pardalotes high in the canopy that stopped calling the minute I raised my binoculars. A beautiful male Common Bronzewing was quite unfazed by my presence and sat, unconcerned, allowing me to approach quite close.﻿ Several pairs of Red-rumped Parrots were looking for nesting holes and Crimson Rosellas sat quietly above, looking down on me. I didn't want to leave without seeing a robin, and I wasn't disappointed. 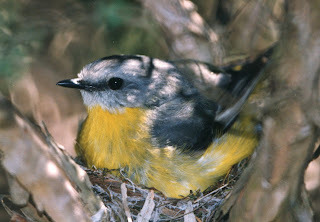 An Eastern Yellow Robin flew across the track, then sat looking at me with her intelligent sparkling black eyes. What a beautiful little bird! I returned to the routine of daily suburban life with my batteries recharged. How lucky to have such a welcome slice of bush so close to Melbourne. There's no point in having a blog unless it is updated regularly, so I have determined to update this every week. Problem is, I have not been able to go birding, as my car is off the road. My next planned trip is at the end of November, when Rog is going to drive me to Canberra for the launch of my third book, "John Gould's Extinct and Endangered Birds of Australia." We will stop at Chiltern and Wonga Wetlands on the way. Although I've been to both these places already this year, I'm sure I will be able to compose a wishlist of species I'd like to add to my annual list. Each year I endeavour to see 400 species. This is a modest aim, when compared with the likes of Sean Dooley and John Weigel, but why compare myself with the experts? Let's be honest, I'm not as good a birder as either of them. And, truth to tell, I have only achieved my 400 target three times since I commenced keeping detailed annual records in 1997. That was in 2006 (when I did the Cape York Bird Week with Klaus Uhlenhut of Kirrama Tours - highly recommended), 2008 (when I started the year on the Abrolhos and visited Iron Range with Klaus) and in 2009 (when I did an insane three day pelagic out of Hobart in winter and later went to Macquarie Island with Heritage Tours). So far this year, I haven't yet made 300, so I am most unlikely to achieve my 400 target in 2012. I can usually manage to do some local birding between trips, but not when my car is off the road. Most frustrating. However, while I am confined to barracks, I am enjoying Grey Butcherbirds in my back yard - and reading reviews of my new book. So far, anyway! There have been reviews in The Canberra Times, WA Today, The Age, Sydney Morning Herald and the Newcastle Herald. Let's hope lots of people read them and all rush out to buy the book. At the start of each year, while other people are formulating their soon-to-be-forgotten New Year's resolutions, I'm planning which birds I hope to see during the next twelve months. In 2012, I had high hopes. The first bird I wanted (expected) to see was a White-necked Petrel. 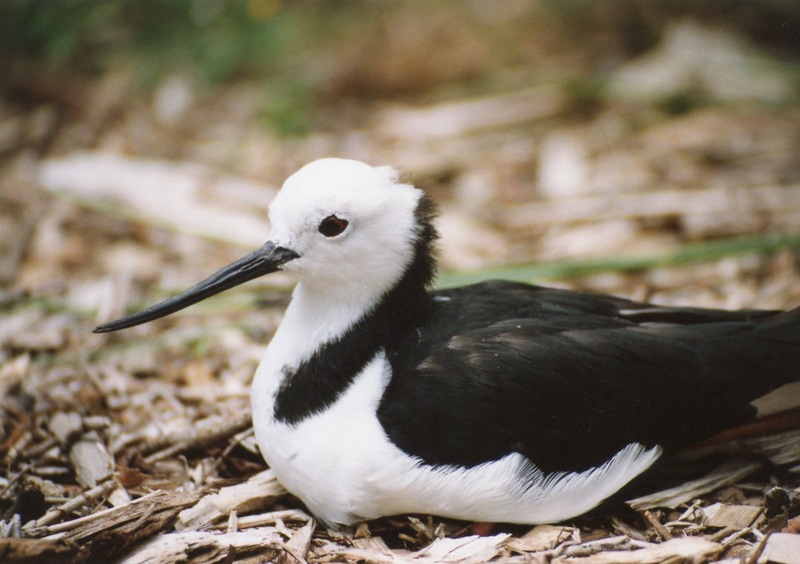 Although this is officially classified as a vagrant, it is sometimes seen off Wollongong in summer, so that was a chance. But better, I had been promised that if I went to Port Stephens in April, it was a cert. So they were the first trips on the agenda. Then, in winter, I planned to go to South Australia. First stop was to be a pelagic off Port MacDonnell, hoping for a Slender-billed Prion, then to Adelaide for a wretched exotic Barbary Dove. Then I planned a quick trip up the Birdsville Track to mop up some birds I'd missed on previous trips. I was expecting to see Short-tailed, Grey and Eyrean Grasswren and Banded Whiteface. If I was exceptionally lucky, I might manage a Grey Falcon. Then I'd return to Adelaide and travel north towards Coober Pedy, going just as far as necessary to see a Chiming Wedgebill. I booked into four other pelagic trips too, without target species, just hoping for a rarity. So that was what I'd planned for 2012. Targetting eight ticks. Not too ambitious, but difficult enough to keep me on my toes. Having determined what I want to do, my next challenge is to convince my husband, Roger, that he wants to do this too, and, more importantly, that he wants to chauffeur me to all my selected locations. Sometimes this takes some subtle negotiating, but usually he is exremely amenable. In 2012, he accepted my proposed itinerary without a wimper. Now 2012 is drawing to a close, and I can reveal my successes and failures. More important, I can start planning for 2013. My first trip for the year was to Port Fairy in February. I wasn't after anything in particular: any rare seabird would do. There are six seabirds on the Australian list I haven't seen (not counting vagrants) and they are not easily ticked. For example, there is nowhere I can go to at the right time of the year to tick a Kerguelen Petrel. I just have to continue doing pelagics and hoping. There's no other way. So the aim of my Port Fairy trip was simply to have a pleasant day, get the year off to a good start and cross my fingers that something rare would turn up. Something rare did turn up, but I had already seen it. It was a Great Shearwater. Sadly, I did not photograph it. Shame on me. It sat beside the boat obligingly for quite some time. It is time for me to confess that I am not very mobile on small boats. When I go on a pelagic, I tend to sit down in the one spot all day. Moving around is for others. If I attempt to stand up, I am liable to fall over, which is undesirable, not to say embarrassing. Anyway, I guess my aims for my February Port Fairy trip were met: I had a pleasant day and got the seabird list for the year off to a start. Sadly, no ticks. In March, Rog took me to Wollongong, for a pelagic with SOSSA aboard the wretched Sandra K. How I hate that boat! Trips are made worthwhile because of the people on board. They are friendly, knowlegeable and helpful. This was my first serious trip for the year, hoping for a White-necked Petrel. These birds breed on Phillip Island off Norfolk Island, but a few sometimes visit the south-east coast in late summer-early autumn. 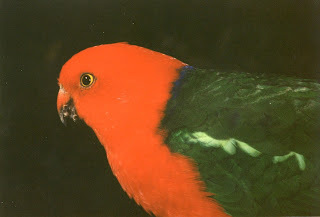 I had travelled to Wollongong in summer before on several occasions hoping to see one, but had always been disappointed. This trip was no different. It was a pleasant day. I enjoyed catching up with people on the boat. But I did not see my target species, so I went home disappointed. In April, Rog and I set off for Port Stephens. Richard Baxter (yes, he deserves to be named) had promised me that if I did a pelagic off Port Stephens in April, I would certainly see a White-necked Petrel. It was a Saturday when I did my one and only pelagic off Port Stephens. The captain fell asleep and the boat drifted. Consequently, we were quite late home. 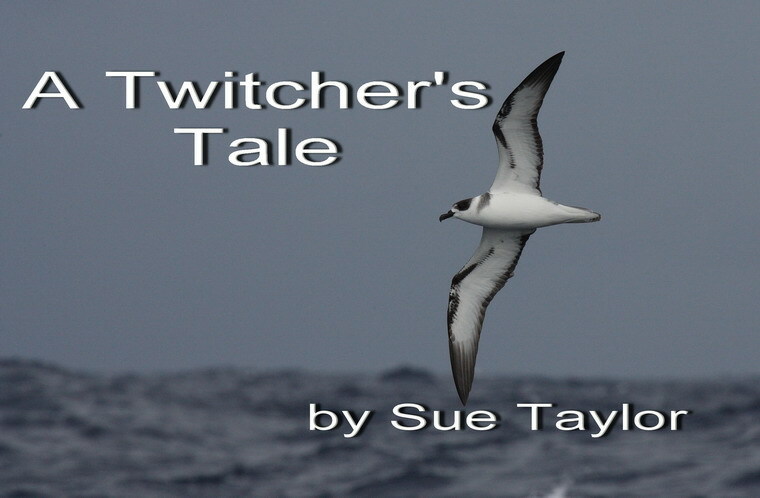 As I walked back to our motel, alone in the dark, I had no happy memories of White-necked Petrels to cherish. I did meet some lovely people on the boat, and some excellent photographers (which was of enormous help with my next book, that I came home to write). I was irritated that I did not get my quarry, but what made it a thousand times worse, was that the boat went out again the following day, Sunday, without me aboard, and they did see a White-necked Petrel! 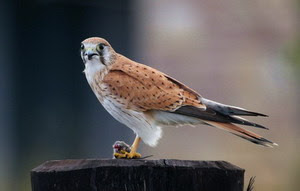 My next trip for 2012 was scheduled for June, and I had great expectations of South Australia. First stop was a pelagic out of Port MacDonnell, where I was hoping for a Slender-billed Prion. Now this bird is the only "easy" seabird left on my want list. 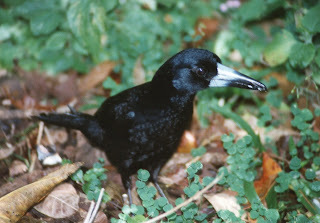 It is reputedly common off south Australia in winter. Alas! I was stymied at every turn. The pelagic was cancelled. It was first transferred to Port Fairy, then cancelled. So no Slender-billed Prion for me in 2012. So Rog and I toddled off to Adelaide in search of the introduced Barbary Dove. I had allowed two full days to search for it before I joined Peter Waanders' tour up the Birdsville Track in search of grasswren. I got it relatively easily at Marino Rocks. The year was half over. I had my first tick for 2012 and it was plastic. Nevertheless, it was a tick. It counts as much on your lifelist as a grasswren. So I celebrated. Then I joined Peter Waanders and set off in search of grasswren. We had fantastic views of Striated, Thick-billed, Grey and Eyrean, but sadly, search though we might, we could not raise a Short-tailed. However, we did see Banded Whiteface and, quite unexpectedly, we saw two Grey Falcon! They were very svelte beside the chunky Brown Falcons beside them. They were sitting high on a communication tower on Cowarie Station and I was absolutely delighted to see my final raptor on the Australian list. I cursed having to return for the Short-tailed Grasswren - a bird I had looked for unsuccessfully on many previous occasions - but I was thrilled to finally sign off on the raptors. Back in Adelaide, I rejoined Rog and we set off for my last "easy" landbird - the Chiming Wedgebill. These birds look identical to the Chirruping Wedgebill, but are identified by their quite different call. Chirruping Wedgebills are seen easily at the Arid Lands Botanic Gardens in Port Augusta. I had seen them many times and so I knew what I was looking for. In fact, I found it incredible that, with all my travels, I hadn't seen a Chiming Wedgebill before. They are classified as common. Thanks to the internet, I had several good sites to visit. Our aim was to get the birds as soon as possible and not to travel any further than we had to. I had read that they could be seen near Dresley Creek, south of Coober Pedy. Dresley Creek is just a creek (and a pretty poor example at that). Rog pulled off the highway. I jumped out and, immediately, I heard a Chiming Wedgebill! As easy as that. Rog read his paper and I scurried after the call. It took perhaps ten minutes to get a really good look at the bird, which, true to the field guides, looked precisely like his chirruping cousin. That was on 3 July, and I haven't had a twitch since. In September, Rog and I flew down to Tasmania and did a pelagic out of Eaglehawk Neck with Rohan Clarke. It was fun, but very cold and no ticks. Then Virgin cancelled our plane home. They bused us to Launceston and flew us to Melbourne from there. I don't see how Virgin will ever attract business customers when they treat their patrons like that. As I write, I look forward to launching my new book, "John Gould's Extinct and Endangered Birds" in the National Library of Australia on 27 November. Then I have another pelagic out of Eaglehawk Neck with Rohan in December. I could be lucky. And we certainly won't be flying Virgin. And, as the year draws to a close, I start thinking about all the good birds I'm going to see next year, and all the ticks I'm going to get.